The Last Hunt Average 4.85/5 - out of 53 total votes. A routine run to the dry wasteland known as Earth goes bad when the cargo ship Ragzon, breaks down. But that's nothing compared to the nightmare its crew faces when they help out a trio of scientists on their last legs. 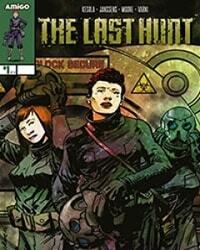 No good deed goes unpunished in "The Last Hunt"! Tellos: The Last Heist ?? ?